When Apple failed to provide any updates on AirPods during its most recent launch event, it seemed like fans of the ubiquitous wireless earbuds would be forced to wait until 2019 for a new model. 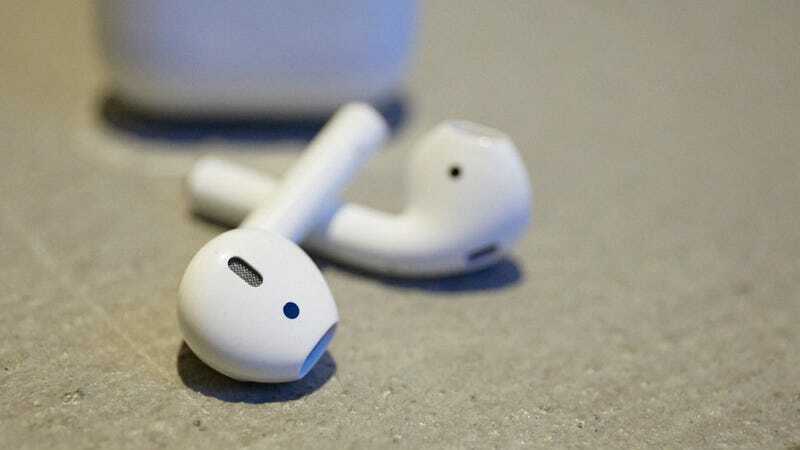 However, based on newly granted Bluetooth SIG certifications discovered by MySmartPrice.com, it seems there’s still a chance that new AirPods could hit the market before the end of the year. This filing may also help explain that weird section in the middle of Apple’s recent product event, in which it talked about changes and improvements to Apple Stores (or “town squares,” in Apple lingo). That section felt like filler, and maybe it was included because a new pair of AirPods were on the way, but not quite ready in time for the presentation. We still don’t know if Apple’s second-generation AirPods will feature the wireless charging case the company teased last year, alongside the seemingly abandoned AirPower charging mat, better Siri integration, or the added health and fitness tracking capabilities that have been mentioned in recent AirPod-related patent filings. But now that a major hurdle appears to have been cleared with this filing, there’s still time for Apple to surprise everyone with an updated version of its super trendy wireless earbuds before the end of the year.